Stevie Ivie and Clark Pehrson take roles in the live nativity. 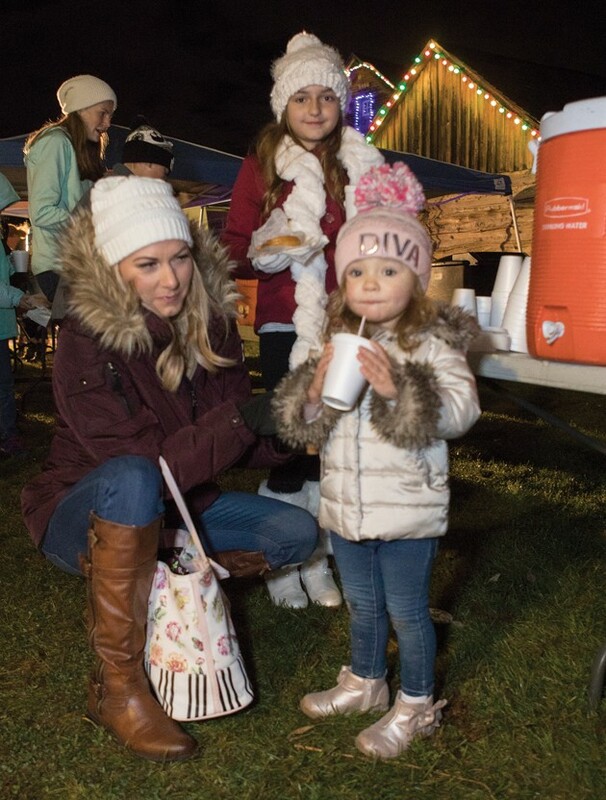 Camille, Bentley and Brinley Didericksen enjoy cocoa at the Christmas Lighting and live Nativity. 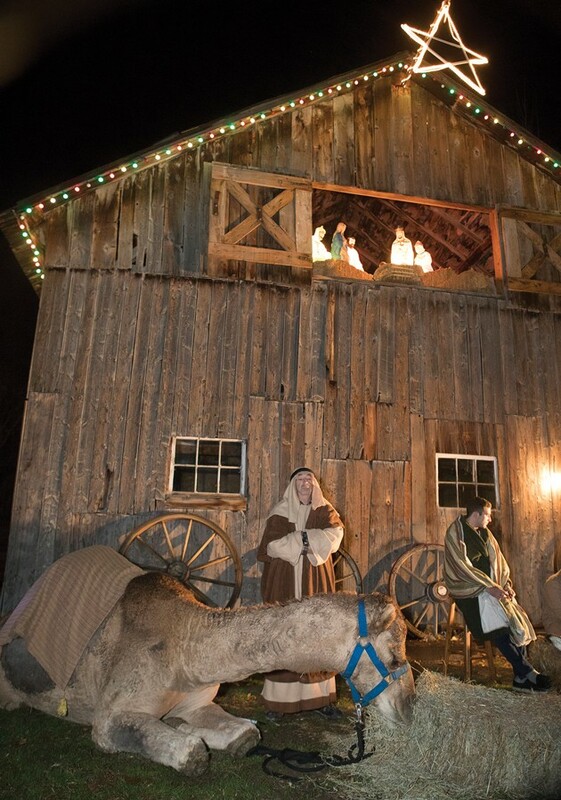 A Christmas Lighting and live Nativity held at Benson Gristmill on Monday night. Attendees donated canned goods for the Tooele Food Bank in exchange for a doughnut and hot cocoa. 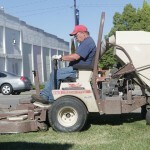 Local groups also provided entertainment at the holiday season kick off.